Absolute Athletics 2014 Products Guide for Pain Reduction and Injury Prevent. 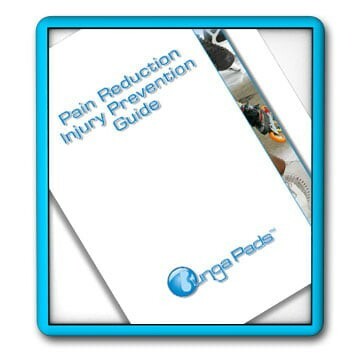 The Bunga Bunion Gel Sleeve is an excellent way to reduce pressure and pain of your bunions and even help prevent them. When used continually, will act as an effective skin moisturizer. Sold Individually. The Bunga Ankle Sleeve™ is the original and best gel-lined ankle protection device. It is used by athletes, both professional and amateur worldwide. Do not settle for less...only accept Bungapads. This is a fantastic solution for all skaters, whether hockey, figure, roller or inline. Size : Small 5" Large 10"
Minimum quantity for "Bunga Ankle Sleeve [AS5-V4]" is 1. Bunga Gel Blister Cushion™ is used to stop shear force, pressure, shock and vibration. It helps to prevent blisters and pressure injuries. Sold individually. Shown with adhesive backing.